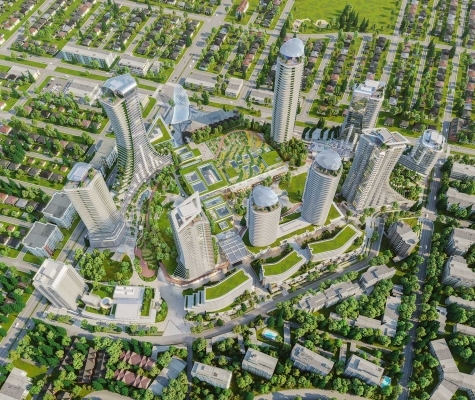 Mirvish Village marks a shift in Toronto city-building by providing a necessary, new development model that includes rental housing, public spaces and retail animation in the Bloor and Bathurst neighbourhood. 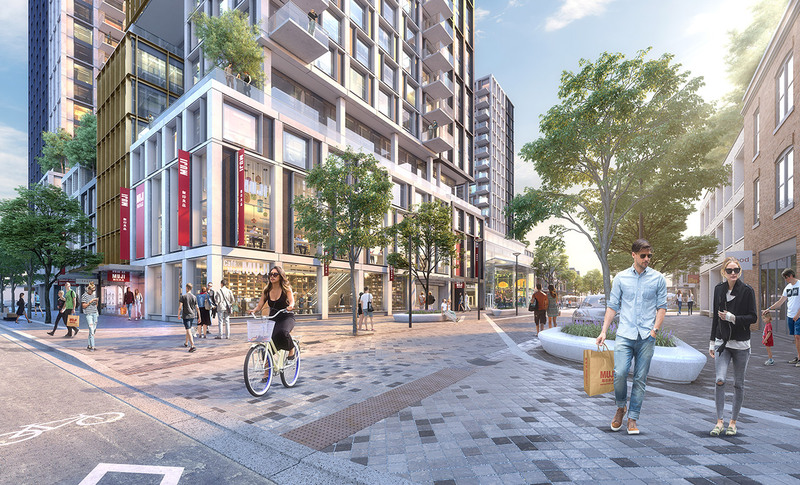 The project reimagines 4.5 acres in downtown Toronto – including the site formerly occupied by the beloved Honest Ed’s store – as a comprehensive purpose-built community for rental apartments and innovative retail, inspired by the small building floorplate densification of Tokyo. 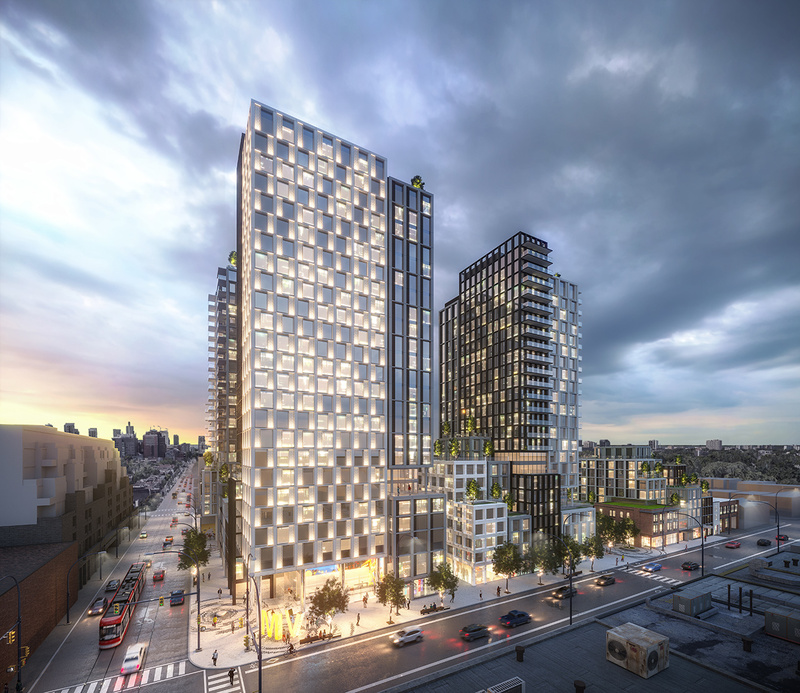 Mirvish Village will be comprised of 32 micro buildings and will eventually be home to over 2,000 Torontonians. 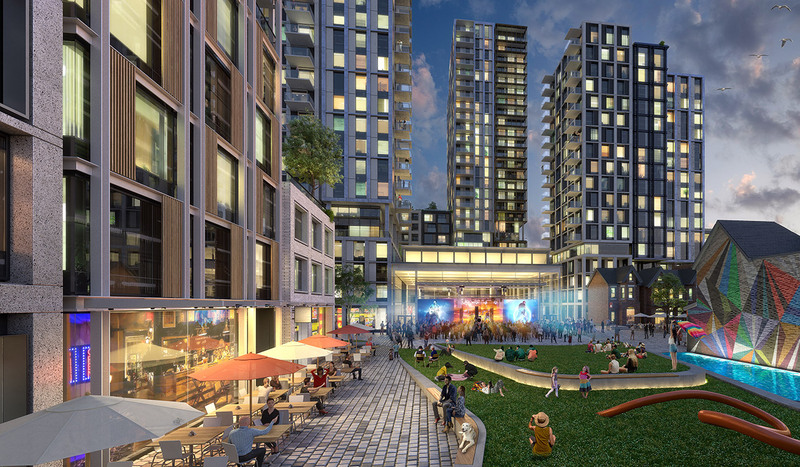 All 800 suites will be rental, with some apartments available at below-market rates and almost half designed for families. 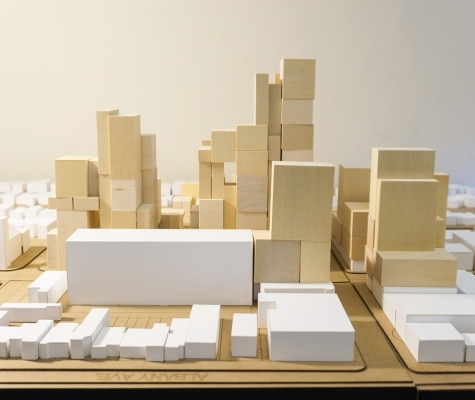 The collection of buildings is broken into small towers and streetwall buildings with retail at the ground plane to preserve the rhythm of the existing streetscape. 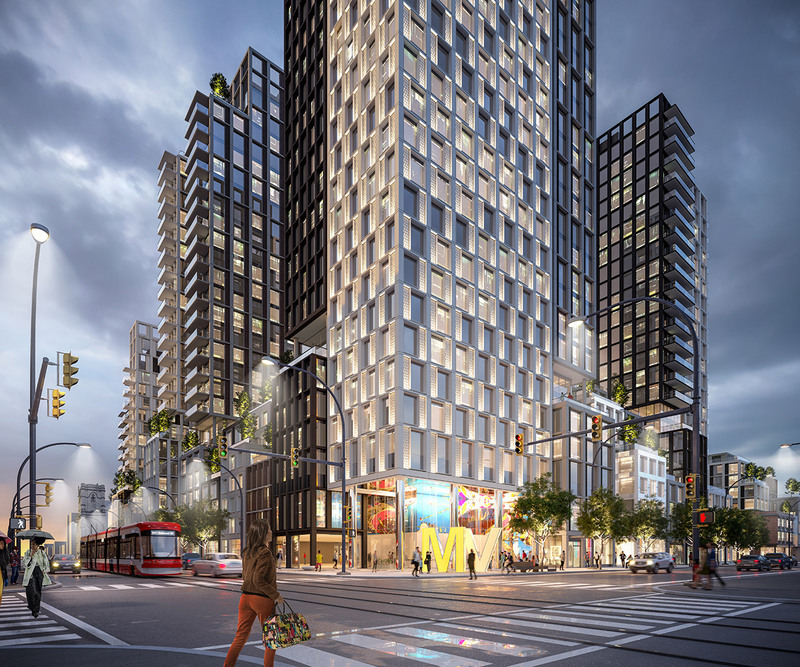 The development’s fine-grain approach fits seamlessly into the surrounding urban fabric known for its diversity and vitality. 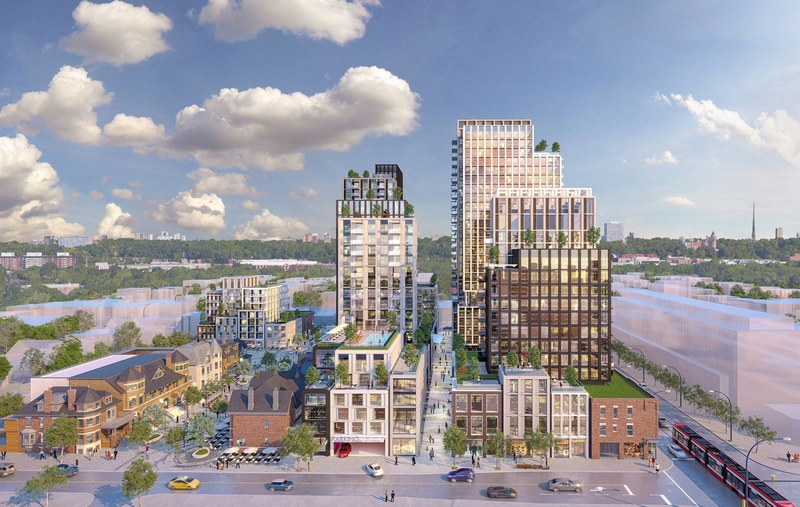 Mirvish Village will preserve and honour the site’s heritage and history. 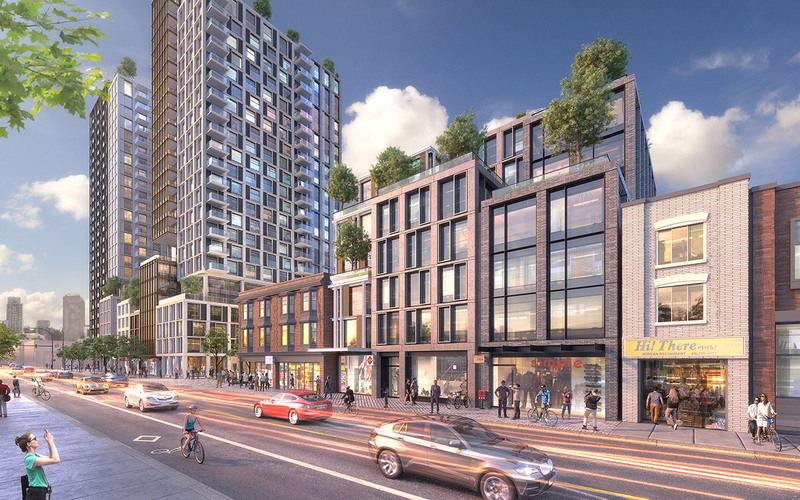 A robust consultation process helped shape its mix of uses, from Honest Ed’s Alley, to an incubator space for start-up retailers that gives a nod to the landmark store, to vibrantly programmed outdoor spaces. 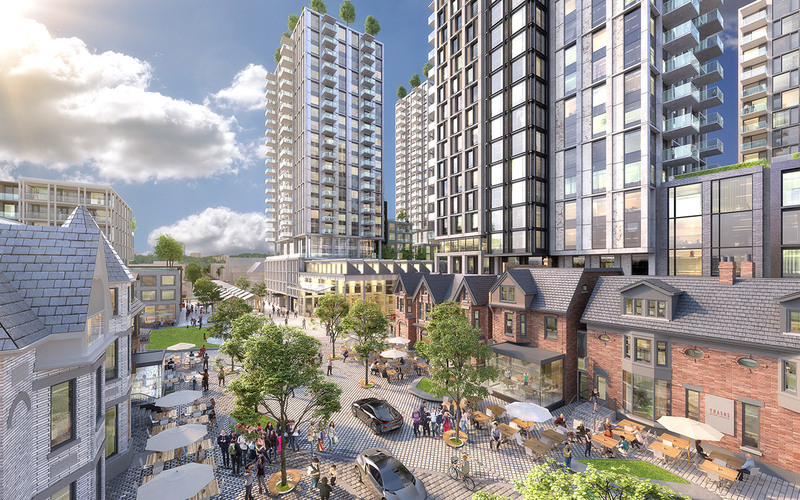 The heritage houses that formed part of the original Markham Street Art Colony will be restored, bringing life back to these houses with the addition of new restaurants and cafes to enliven the streetscape. 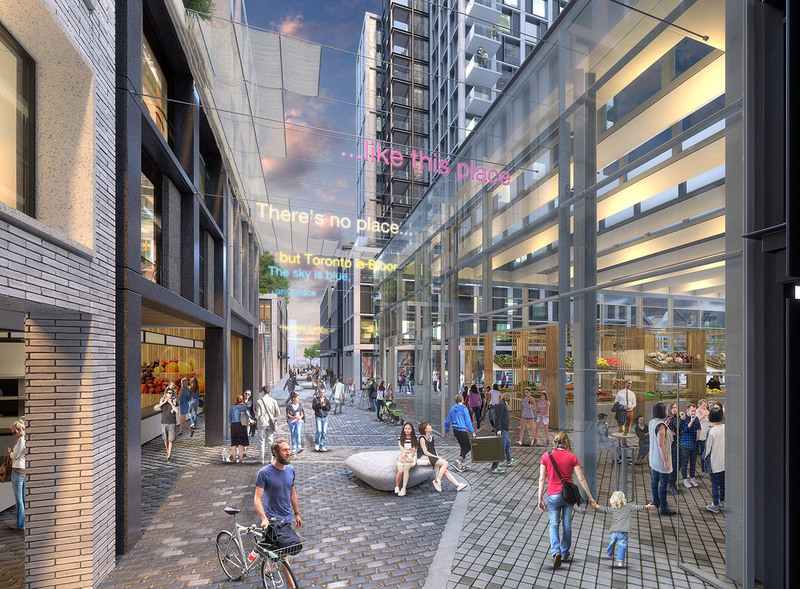 The development, which is designed to meet LEED Platinum ND standards, will include a site wide utility and support sustainable transportation with extensive bike and car co-op programs.